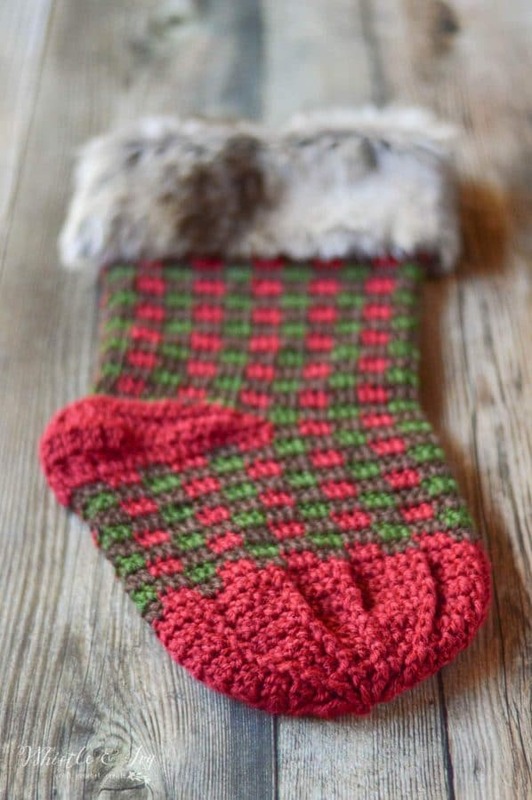 This crochet plaid stocking adds the perfect rustic flair to your holiday or Christmas mantel! Easily add a bit of faux fur for extra pop around the top, and mix up the colors for different plaid looks. 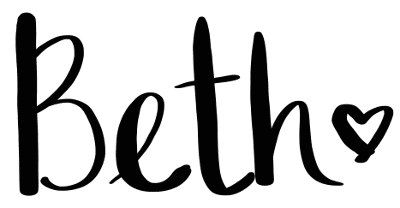 This post includes affiliate links which means I get a small commission if you make purchase (at no extra cost to you). Thanks for your support! 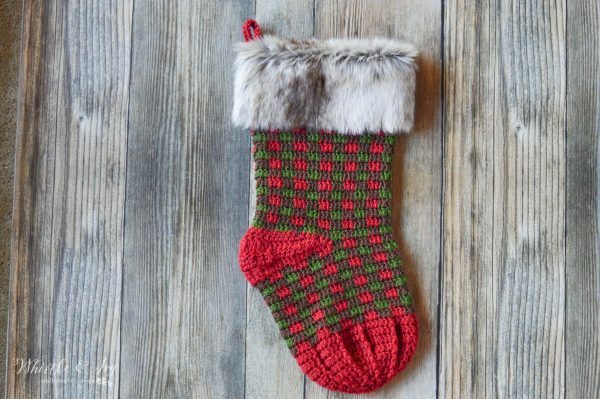 I really wondered if this Crochet Plaid Stocking would be a good choice for Plaid Week 2017. Too early for Christmas, perhaps? 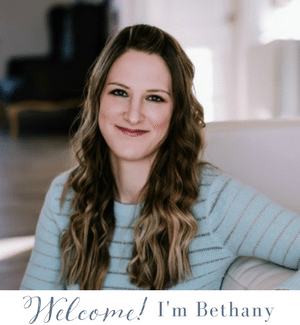 I guess YOU will be the judge; you will have to let me know your thoughts. 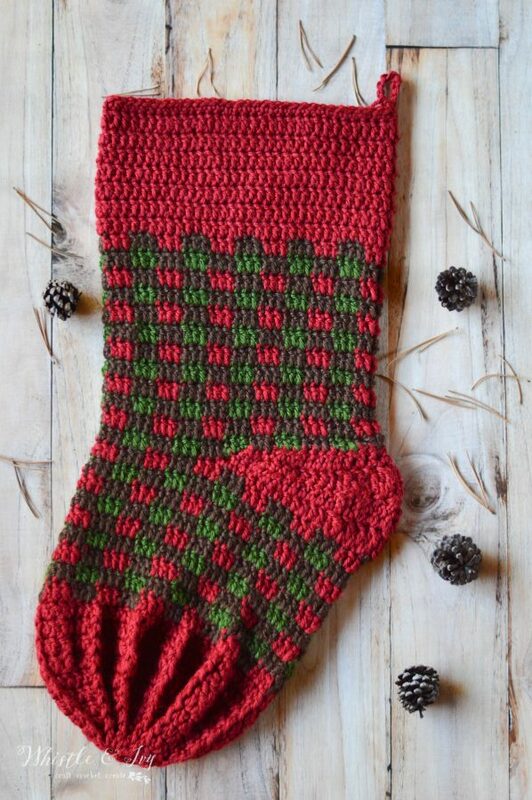 Regardless, a Crochet Plaid Stocking was something that I got several requests for (but not as many as plaid mittens! ), so I figured it might be something you would be excited about. 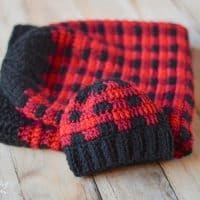 I am planning on finishing a set for my family in different colors (a couple in classic buffalo plaid and a black and white one, I think) but the holidays are so crazy, we will see what happens! 2-tc cluster- This is simply a tc decrease worked in the same st. 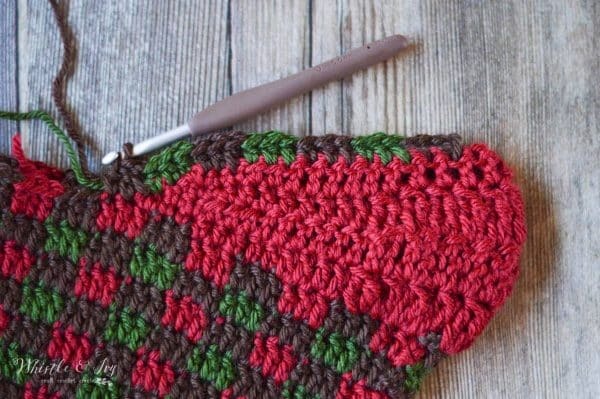 This makes the stitch fill in the space better, while have only one stitch space at the top. 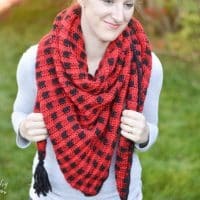 Still need more Plaid Technique instruction? I have a course for that! 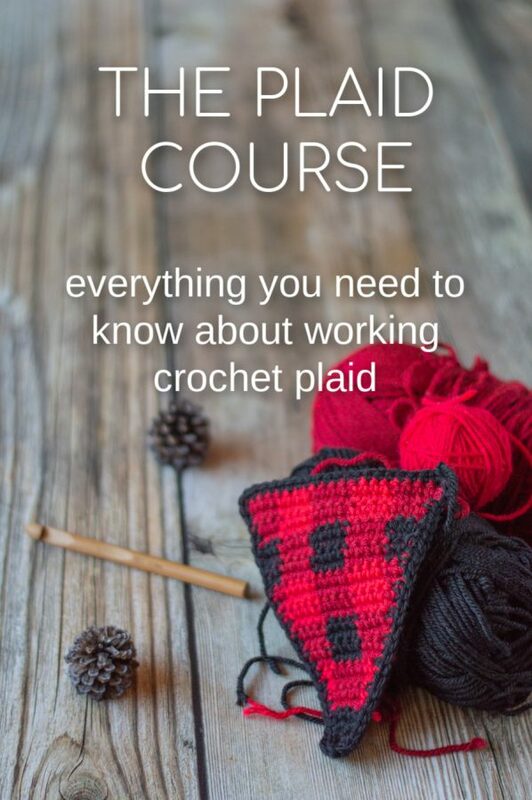 Learn plaid from beginning to end PLUS you get both of my Plaid Collection ebooks with your course! Enroll here. 10. Ch 2. Dc in same st. Dc in next st (counts as first plaid set). Begin Plaid Stitch, alternating between Wine and Chocolate. 11. – 19. 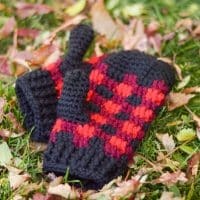 Work the Plaid Stitch, alternating between Wine and Chocolate, and Chocolate and Dark Leaf. Break Wine and Chocolate. Tie off. Join Wine 18 sts to the RIGHT of the join. b. Ch 1. Sk same st. Sc 3. Hdc 3. Dc 6. 2-Tc Cluster 9 times. Dc 6. Hdc 3. Sc 2. Sk next st, sl st in last st. (33 sts) Turn. 20. 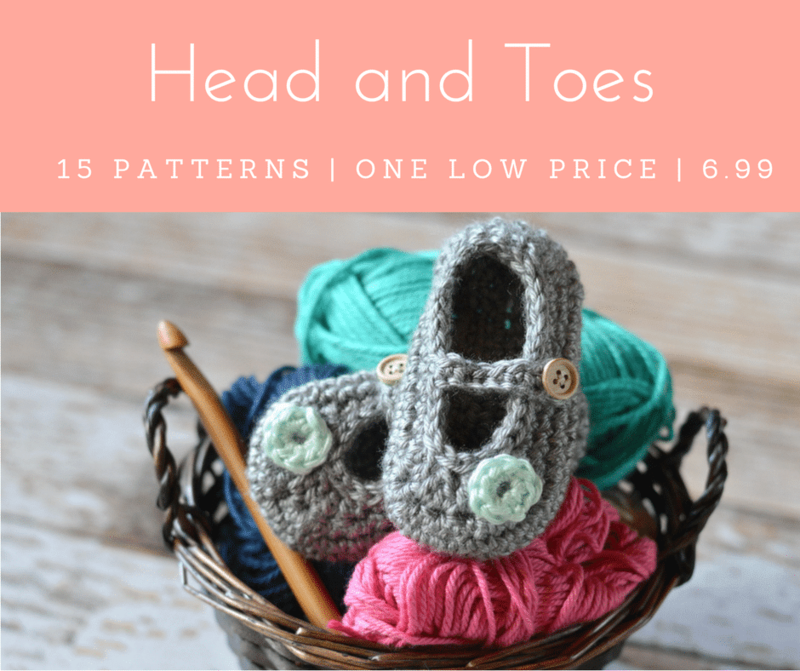 Join in the back of the heel, in the 11th dc from the right (from row d of the heel). 32. – 38. Ch 2. Work dc in each st around, working with Wine. (65 sts). To make a loop, ch 10 and sl st down into the same st. Tie off. You can do a few things here to add flair to your stocking. You can alternate fpdc and bpdc for a ribbed look for rows 32 – 38. You can work an extra 7 rows in dc and fold it down. 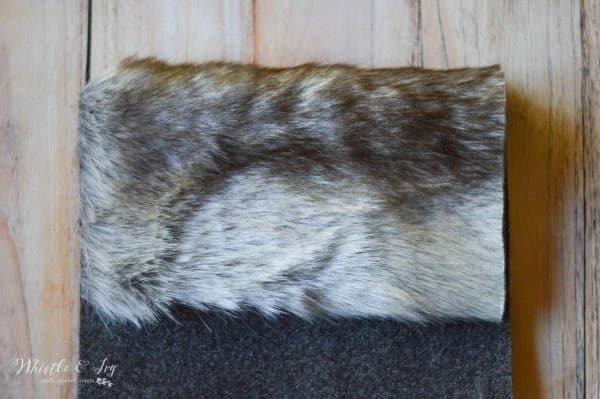 You can also get faux fur fabric and sew/glue it in place (which is what I did). Cut your faux fur piece, approx. 4.5″ wide, 21″ long (be sure to measure your stocking to make sure this piece would fit). DO NOT use scissors. Use a very sharp precision knife to cut the backing of the fur, taking care not to cut the fur on the front. Look at the difference in cuts. Can you tell which side was cut with an precision knife and which was scissor-cut from the fabric store? 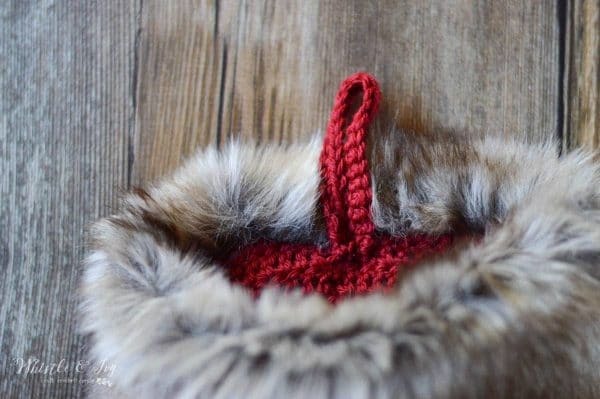 Fold the top of the fur down over the top edge of your stocking, and hot glue in place on the inside. Glue along the bottom for the fur, securing it to the stocking. Be sure to glue the seam very well, so they stay together and don’t show the crochet stocking behind it. It will be visible when it’s flat, but you won’t be able see it when the stocking is hung. Sc in 2ch ch from hook. Sc across the ch. Leave a long tail. 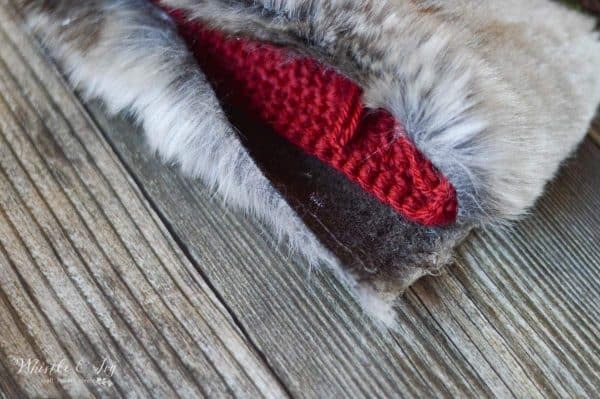 Using a darning needle, sew it to the inside of the stocking, below where you glued the fur. Be sure not to sew it all the way through the fur on the front. Weave in ends or tie a sturdy knot and clip ends. 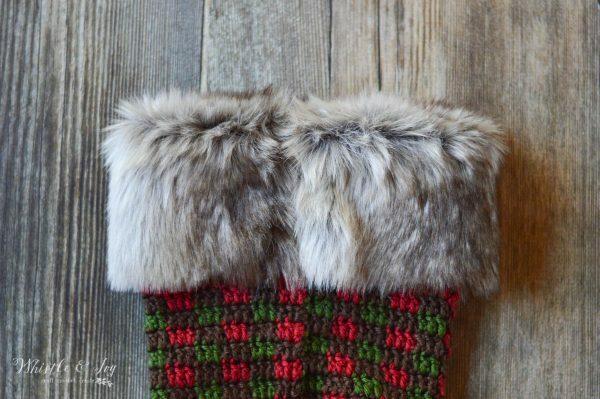 I really love the look of fur on top, but I am excited to see your version of this Crochet Plaid Stocking! Share your work in our Facebook Community! Can’t wait to see the group filled with Plaid! 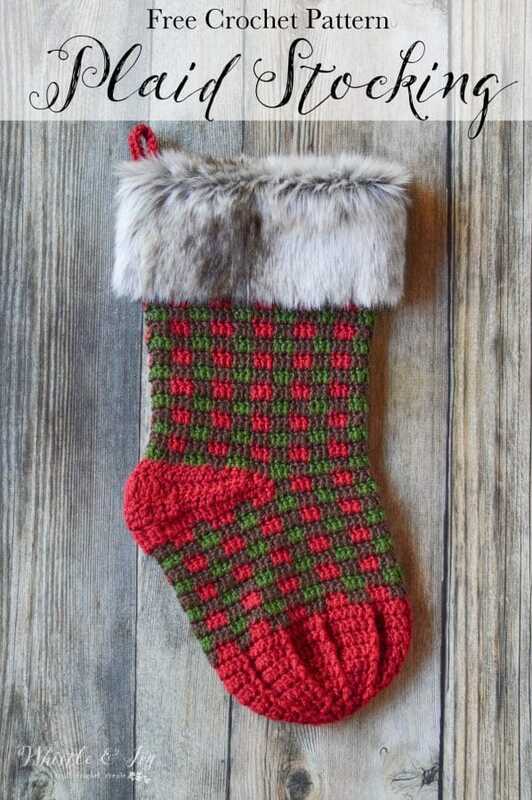 Like this Crochet Plaid Stocking? Subscribe! I am not very good at adapting! I don’t, I am sorry! 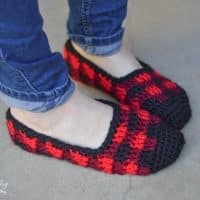 I am loving crochet plaid week 2! 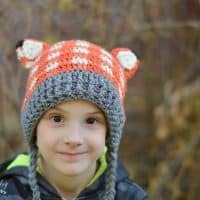 Your patterns are just great, thanks so much for sharing them all! Oh, I love it! It’s not too early for Christmas for me. I’ve already got a few of my crochet Christmas presents done. I have really enjoyed your Plaid Week! Each day I say “This is my favorite so far” I love them all! :D Thanks for all your hard working putting it together. Haha! That is awesome, I am SO glad you liked them. It’s hard to know what will do well, you know? I need to start on Christmas presents myself!